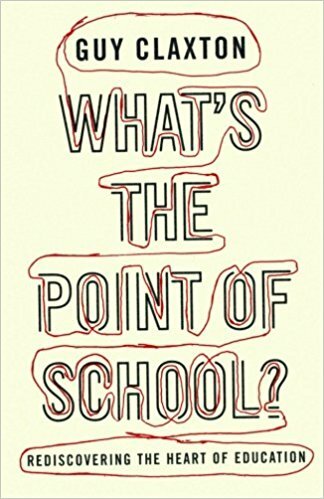 STEM Books » what’s the point of school? WHY WE LOVE IT: Guy Claxton gives a compelling argument towards imaginative, real-world learning in schools. An interesting read for educators and parents alike. DESCRIPTION FROM THE PUBLISHER: With their emphasis on regurgitated knowledge and stressful exams, today’s schools actually do more harm than good. Guiding readers past the sterile debates about City Academies and dumbed-down exams, Claxton proves that education’s key responsibility should be to create enthusiastic learners who will go on to thrive as adults in a swiftly-changing, dynamic world. Students must be encouraged to sharpen their wits, ask questions, and think for themselves – all without chucking out Shakespeare or the Periodic Table. Blending down-to-earth examples with the latest advances in brain science, and written with passion, wit, and authority, this brilliant book will inspire teachers, parents, and readers of all backgrounds to join a practical revolution and foster in the next generation a natural curiosity and the spirit of adventure.